this is so nice an natural - its no nonsense and very comfy looking...i love the jeans - they are perfect and are those wellingtons? love the sisters no makeup look as well she looks great- approachable and is sending just the right message about muslim women. very modest mashallah. Definitely cute shoes! Are those crocs? Love the wellies! and well done for attending Greenbelt! How embarassing but thanks so much for the lovely comments... u guys r more than kind, may Allah bless u all. 1) The bag is way old, in fact I think I may have snagged it off a friend that was wanted to be rid of it. 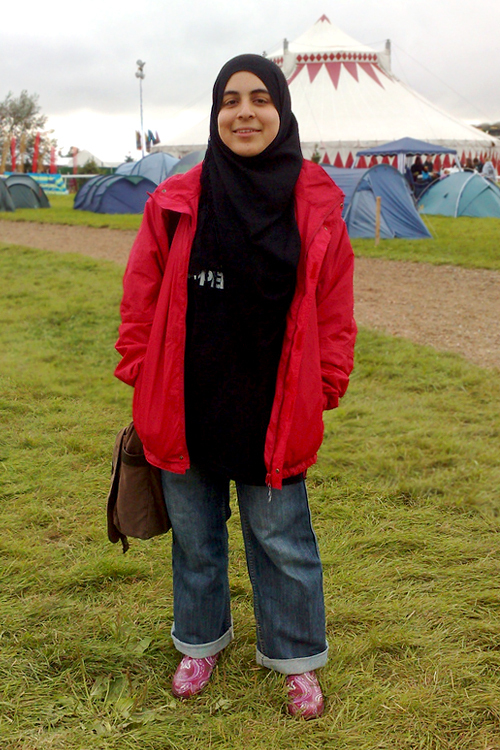 3) Greenbelt was great, subhanAllah. awww - Lamsi!!! u look cute!! hehe! !